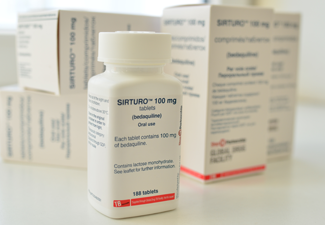 With recent developments in drug-resistant TB (DR-TB) treatment, particularly the approval for use of the new drugs, bedaquiline and delamanid ahead of the completion of Phase III trials, there is a need for early and systematic detection, management, recording, and reporting of any adverse events that may occur in patients who are prescribed these medications. To meet this need we have published a new guide on Active drug safety monitoring and management (aDSM). This technical guidance document introduces the concept of aDSM for new drugs and regimens used in the treatment of drug-resistant TB patients, outlines the definitions related to aDSM, the agreed essential activities, and the key steps in implementing aDSM in patients on treatment. Following the UN High-Level Meeting on TB, on September 26 2018, world leaders endorsed the UN Political Declaration on TB with the most ambitious TB commitments made to date: To diagnose and successfully treat 40 million people with TB by end of 2022 and to provide 30 million people with treatment to protect them from developing TB by 2022. The declaration is a historic opportunity to offer a concrete path towards eliminating TB. Challenge TB will continue to work hard with countries and partners to help ensure these ambitious goals are translated into action. 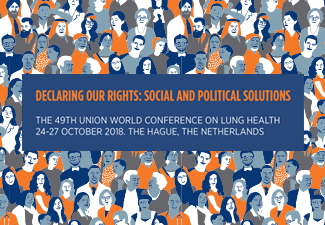 The 49th Union World Conference on Lung Health, will take place in The Hague, The Netherlands, from 24-27 October 2018. The conference theme – Declaring Our Rights: Social and Political Solutions, highlights that eliminating tuberculosis and achieving the health-related Sustainable Development Goals requires a coordinated public health response driven by the human rights of each individual. Challenge TB and partners will present the results of the project so far through more than 70 posters, 11 oral abstracts, 9 symposiums, and a stand in the Holland Pavilion. There will be daily presentations from our staff highlighting some of the key achievements in the countries where we work. TB is the most deadly infectious disease in the world, and stigma continues to play a significant role in worsening the epidemic. Stigma and discrimination not only stop people from seeking care but also make it more difficult for those on treatment to continue, both of which make the disease more difficult to treat in the long-term and mean those infected are more likely to transmit the disease to those around them. 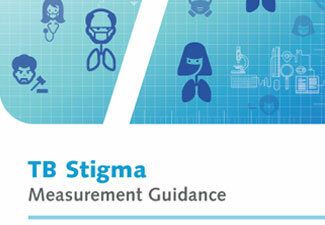 Today we announce “TB Stigma – Measurement Guidance”, a manual to help generate enough information about stigma issues to design and monitor and evaluate efforts to reduce TB stigma. It can help in planning TB stigma baseline measurements and monitoring trends to capture the outcomes of TB stigma reduction efforts. This manual is designed for health workers, professional or management staff, people who advocate for those with TB, and all who need to understand and respond to TB stigma. With more than 480,000 cases of multi-drug resistant TB every year and the conventional treatment being long, toxic, expensive, and having very low levels of treatment success, the need for new drugs and regimens is beyond question. USAID’s Challenge TB project is driving the introduction of new drugs and regimens for the treatment of drug-resistant TB. These new regimens are bringing hope to thousands, some of whom were all out of other options. With Challenge TB support, all our countries have developed a policy framework, trained staff, expanded diagnostic capacity, and ensured that drugs and budgets have put in place for nationwide access for all eligible patients. In addition, Challenge TB has supported the development and implementation of active pharmacovigilance systems and procedures to manage adverse events (aDSM), both of which are necessary for the safe use of the new and repurposed medicines. Individualized regimens containing Bedaquiline are now available in all Challenge TB supported countries, Delamanid is in 14 countries, and the shorter regimen is in 20 countries with the final 2 due to start shortly. 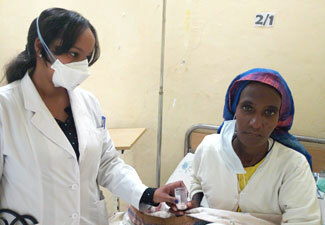 Ethiopia began rolling out the ‘Shorter Treatment Regimen’ for the treatment of drug-resistant TB in April 2018. Alem Aweke and Takele Abera from Addis Ababa, and Alem Ferede from Gonder were the first three patients to be enrolled. 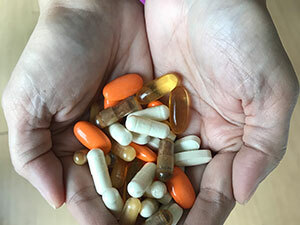 The new regimen cuts the treatment duration from two years to only 9 months, the number of pills that need to be taken is reduced by almost half, and treatment is much cheaper than the original 20-24 month regimen. Patients only receive injections for the first four months of treatment and perhaps most importantly, the costs incurred by patients having to make daily visits to health facilities, will be significantly reduced. The Challenge TB project in Ethiopia is assisting with the start-up of the Shorter Treatment Regimen at treatment initiation centers. This support will lead to better patient management and support, and as the treatment duration is significantly shorter, patients will be better able to adhere to their treatment and finally be cured. 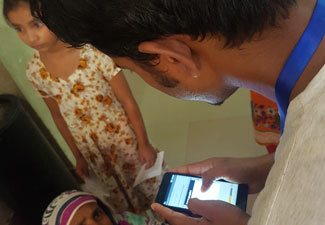 Challenge TB has developed a simple mobile phone application that has begun to revolutionize the process of finding the missing childhood TB cases in Bangladesh. The app (which is freely available for anyone to use) was tested in several health facilities and used to identify children with TB symptoms who are then taken aside for further testing. If you want to know the results, you can read the full story here. 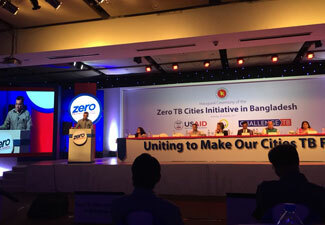 Dhaka, Bangladesh has become the latest city to sign up to the Zero TB Cities Initiative. The initiative will combine a public awareness campaign with TB screening, in order to help find many more of the “missing” TB cases. A recent TB prevalence revealed very high rates of TB in the urban areas of Bangladesh, and Dhaka is estimated to have more than 150,000 missed TB cases every year. As Dhaka is the fourth most densely-populated city in the world, controlling this airborne disease is critical to ending the TB epidemic in the country. The initiative in Dhaka was launched with the support of USAID/Challenge TB. The need for tools to measure stigma has been voiced before, only to be lost in the louder din of voices calling for new technologies, new medicines, and the rush to meet targets, deadlines, benchmarks and count up ‘cases’ that were ‘cured’. Past efforts to measure TB stigma have been stymied by doctrinal differences, internecine debates over definitions, and a pedantry that excluded many important stakeholders. Measuring TB stigma is not an elite project, but it does present some real technical challenges. Read the full IJTBLD supplement on TB Stigma here. 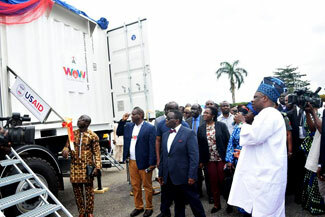 “Wellness On Wheels” the mobile truck equipped with digital X-ray and GeneXpert was launched today in Ogun State – Nigeria. The Challenge TB-financed truck and equipment, will offer free TB testing services in communities and provide rapid testing for persons with presumed TB, meaning people with TB disease can be placed on treatment as quickly as possible. Nigeria has the 4th highest burden of TB in the world and the highest in Africa. With 600,000 cases annually and only 100,500 detected in 2016, around 83% of the cases were missed and are in the community infecting those around them. The new truck will take diagnostic facilities directly to the people, where it is hoped it will help to find these missing cases and begin to turn the tide of the disease in the country. You can now read about our successes and impact on the Challenge TB’s Medium page. New stories will be posted regularly, so follow us to stay up to date with how our work is helping those most in need across 23 countries. Our latest story highlights how the introduction of new drugs and regimens in Kyrgyzstan is making a difference in the lives of four-year-old Ilias and his two-year-old sister Sumaya, who were diagnosed with DR-TB in February 2017. 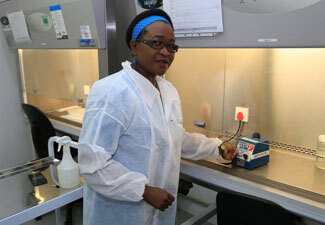 The only laboratory capable of cuture and drug susceptibility testing in Botswana was the National TB Reference Laboratory (NTRL), which until recently was mostly out of commission as the TB containment facility had not been functional for almost two years. With technical support from Challenge TB, the Ministry of Health installed a new ventilation system and Challenge TB also financially supported the refurbishment of the NTRL containment facility. The renovation was successfully completed in August 2016 and the laboratory became fully operational and resumed receiving and testing patient samples on the 1st September 2016. The laboratory was officially reopened by the US Ambassador to Botswana Mr Earl Miller and the Permanent Secretary of the Ministry of Health, Ms Shenaaz El-Halabi. The Global Health Bureau, Office of Infectious Disease, US Agency for International Development, financially supported this website through Challenge TB under the terms of Agreement No. AID-OAA-A-14-00029. This website is made possible by the generous support of the American people through the United States Agency for International Development (USAID). The contents are the responsibility of Challenge TB and do not necessarily reflect the views of USAID or the United States Government.